Dr Mytheen completed his National Specialist Registrar training in Clinical Neurophysiology from Sheffield teaching Hospitals in 2002 with attachments at the National Hospital for Neurology and Neurosurgery and Great Ormond Street Children’s Hospital in London. He has been a Consultant in the specialty since 2002. Dr Mytheen is the clinical lead at the Clinical Neurophysiology Department at City Hospital (Sandwell and West Birmingham Hospitals NHS Trust) which is one of the largest provider of Neurophysiology services in the West Midlands receiving referrals from a large number of hospitals and GP surgeries. He is the Chair of West Midlands Deanery Speciality Training Committee in Clinical Neurophysiology and Member of Specialist Advisory Committee in Clinical Neurophysiology at the Royal College of Physicians, London. 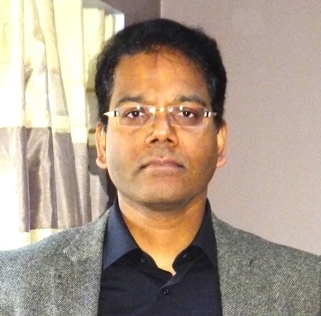 Dr Mytheen’s clinical work includes Nerve Conduction Studies and Electromyography for conditions such as carpal tunnel syndrome, ulnar neuropathy, other entrapment (trapping) nerve problems, peripheral neuropathies, muscle disorders like myopathy muscular dystrophy, nerve injuries and Motor Neuron disease. He has special expertise in investigations like Single fibre studies in Myathenia. He also provides all types EEG investigations for epilepsy and other selected brain disorders and offers full reports for both routine and non-routine Electroencephalographs (EEGs) and Evoked Potential Studies ( EPs). Dr Mytheen’s research interests are in quantitative EMG studies. He regularly gives lectures in local and regional, meetings/teaching programmes on many topics in Clinical Neurophysiology.